Photo by Autumn Walter |CIGAR| Last Thursday afternoon the team held their 10th annual drive in hopes of getting 300 new members into the registry. 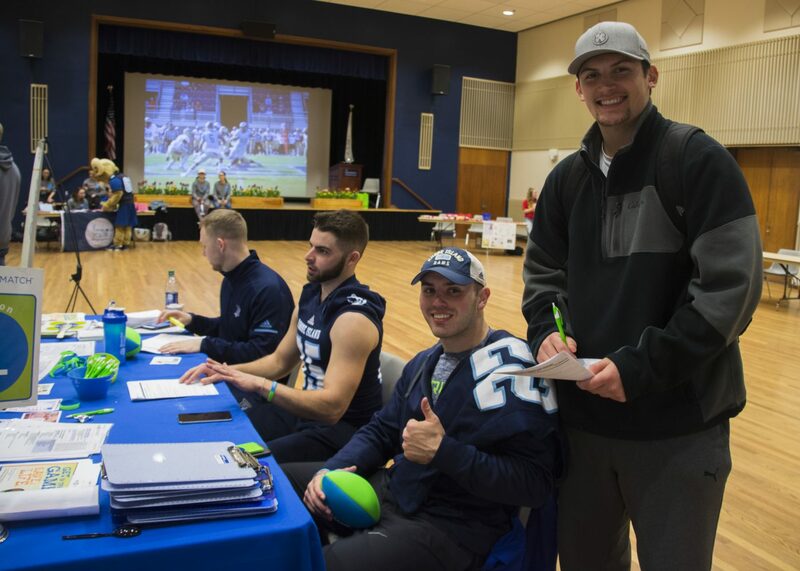 Over the past 10 years the University of Rhode Island football program has teamed up with “Be The Match’ to help recruit potential donors for the bone marrow registry. Rhode Island was one of 150 total athletic teams across the country who teamed up with Be The Match and their, “Get In The Game Campaign.” With the help of these teams, this campaign and new members are recruited to the bone marrow registry to help save the lives of people battling over 70 different diseases. Last Thursday afternoon the team held their 10th annual drive in hopes of getting 300 new members into the registry. The Rams fell a bit short bringing just over 200 members into the registry. 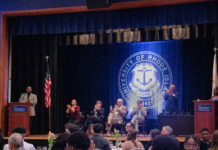 However, with 200 plus new members, Rhode Island has officially brought more than 2,100 potential donors since they started the drive in 2008. The common misconception about entering the registry is that you are automatically matched with someone in need and will have surgery right away to take your bone marrow. That’s not the case. First, a potential donor from the registry has to be a perfect match. To enter the registry it is a pretty simple process. At an event like the football team held its nothing more than a few cotton swabs and a couple forms filled out. Once you are in the registry you can be notified as a match between the day after you are in and your 61st birthday. St. Peter said that if your cheek swabs show a match, Be The Match will reach out for blood work and if that matches than you will be asked to be the donor. If you are identified as a donor and choose to follow through, there are a couple ways to collect your bone marrow. The most common, according to St. Peter, is an automated blood donation where a series of injections would produce more bone marrow and push them out into your bloodstream. There is always a need for new, potential donors in the registry. “We have a huge need for young, healthy, diverse donors on the registry,” St. Peter said. “The best place to find those people are on college campuses where we can come in and educate them about the importance of being a marrow donor.” St. Peter said that they need young donors (18 years or older) so they be on the registry for a long time. St. Peter was also thankful for the work that the Rhode Island football program does having hosted the drive for a decade. She said that there reach on campus allows the Be The Match message to be stretched across campus and the community.